The Lost and the Damned was certainly one of the top pieces of DLC ever released for a game, and it’s likely that many players are hoping that Rockstar release a similarly good single player DLC for their world-conquering GTA V video game. After all, GTA V is one of the best-selling games ever with more than 60 million copies sold, and it’s logical that many fans of the long-running GTA series are wondering why Rockstar has not yet put out any single player DLC for their megahit game. But understanding Rockstar’s motivation for not releasing more single player content for GTA V is not that hard, and has to do with the phenomenal success of GTA Online, which has reportedly made more than $500 million US dollars to date. GTA Online is the multiplayer component of GTA V, and allows players to team up with friends online to take part in illicit activities in the game’s fictional city of Los Santos. GTA Online has been growing ever since its debut in 2013, and it now boasts more than 8 million weekly players according to GameSpot, with Rockstar releasing additional content for it like the “Executives and Other Criminals” expansion released last December and the recent “Bikers” free add-on, which adds several new features to GTA Online according to Rockstar’s blog. 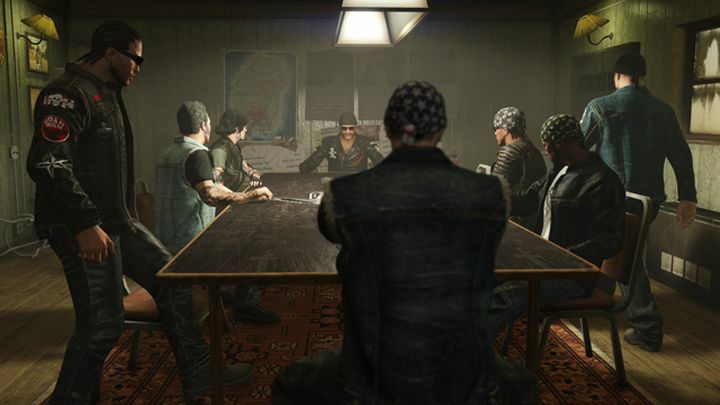 Actually, players will now be able to do many of the things they could in The Lost and the Damned DLC for GTA IV, including creating and naming their own Motorcycle Club (MC) and acting as its president, even promoting new members (prospects) to positions like Enforcer, helping out the club battle rival MCs and other criminal gangs in Los Santos. The MCs base of operations is the Clubhouse, which can be based in one of 12 different locations throughout the city, and players will be able to engage in activities like playing darts and arm wrestling in the Clubhouse’s bar. 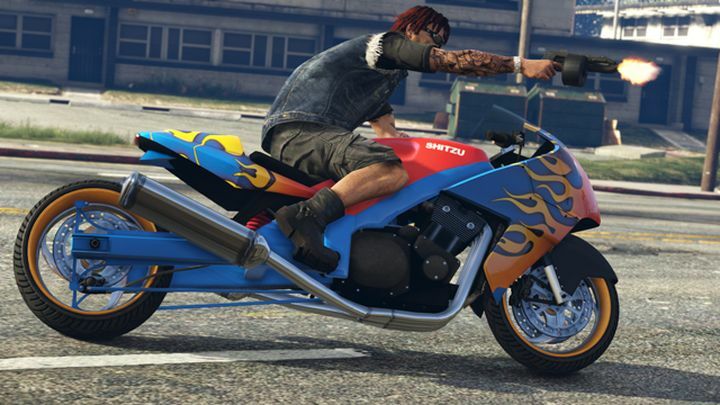 Another interesting feature of the Bikers add-on for GTA Online is that it adds a total of 13 new vehicles to the game, such as the Nightblade motorcycle with its neon colours, as can be seen in the image above. There are also new melee weapons and firearms available in the game, including a battleaxe and even a compact grenade launcher. And those who enjoy customizing their character will likely enjoy trying the new clothes, hairstyles and tattoos which have been added to the game. It appears then, that this new “Bikers” add-on will make GTA Online and even better multiplayer experience for GTA fans, and also will serve as consolation for those players longing for more single player DLC in the vein of GTA IV’s great The Lost and the Damned. But still, no matter how great GTA Online is, here’s hoping fans of Rockstar’s crime video game series get a good single player story-based expansion for GTA V in the future.